A cute print featuring a family of owls perched on a branch. 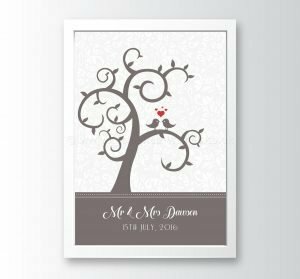 Your family names are shown on hearts hanging from the branch. Owls can be done in different colours. Frame NOT included (shown for illustrative purposes only). 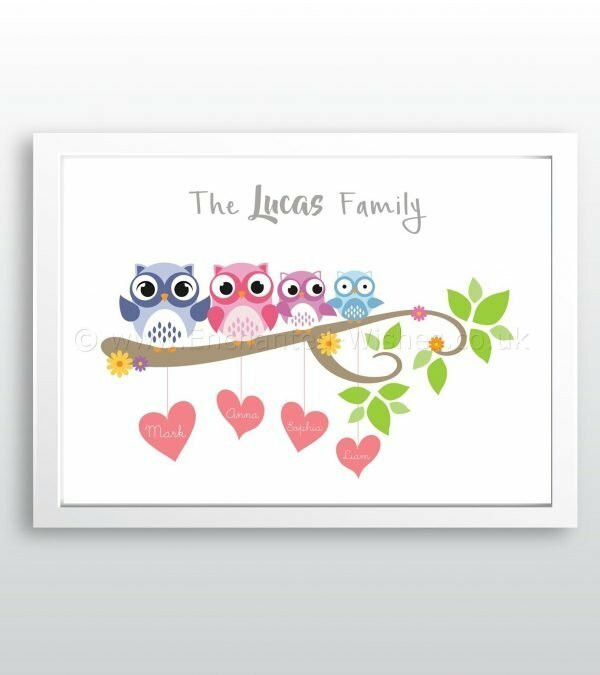 Please state family’s last name and family member names when ordering (note which names you want with which colour of owl). 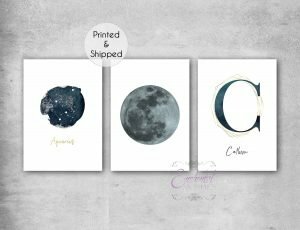 I aim to email a proof copy within 5 working days of receiving cleared payment, and the final print will be mailed within 5 working days of the proof being approved (often sooner).